Planning Aid Wales offers a free Helpline service to assist eligible members of the public and community groups needing help with a planning matter. For more information about the criteria we use to determine eligibility, please click here. Even if you are not eligible for our Helpline service, you can still find all sorts of information and advice on this website by clicking on planning advice. The Helpline service provides three different levels of assistance – information, advice or support. The level of service available depends on the eligibility of the person, group or business seeking assistance. An explanation of the relevant part of the planning process (such as planning applications, development or appeals procedures). Referral to guidance documents which explain procedures in more detail. An explanation of your rights within the planning system. Referral to organisations which may be able to provide further help. Referral to a list of planning consultants certified by the Royal Town Planning Institute. Detailed information on specific aspects of the planning system. Assistance with developing strategies to address specific planning issues. Assistance with developing arguments to support your case. Basic research and referral to relevant policies or cases, including advice on how they can be used most effectively. Assistance with preparing letters and forms as appropriate. 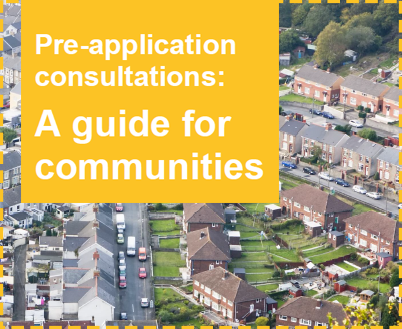 Assistance with preparing consultation responses, planning applications or feasibility studies. Assistance with referral to other bodies that can provide more specialist assistance. You can access our Helpline service by telephone, email or by post. The contact details are given below. Complete an online planning enquiry form opposite. Please address your enquiry to the address below, making sure you include your name, contact information, a brief explanation of the planning issue you need help with, and a brief explanation of why you think you are eligible for this service. We try to answer all requests for assistance within 48 hours. If this is not possible, we will contact you as soon as possible to say when we will be able to deal with your request. If you would like help with a planning problem, please complete the form below. Please note that Planning Aid Wales can only provide advice and assistance to those who are eligible to receive these services. Please make sure that you have checked your eligibility before completing this form.